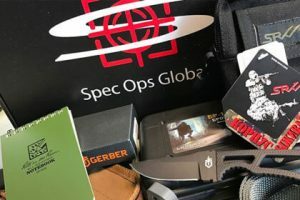 If fishing is your passion or just a perfect way to relax by the water and take a break in comfortable silence or chatting with your fishing partner, here is a great way to upgrade your fishing kit. Mystery Tackle Box brings you high-quality fishing products on a monthly basis and the content of your box is always a great surprise. You can choose from 3 types of boxes, depending on your fishing preferences. 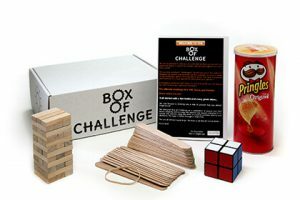 All boxes bring you exclusive and limited edition fishing equipment and include professionally paired lures and tackle. If your focus is on bass, walleye, panfish, catfish, trout, inshore saltwater or ice fishing, the MTB Regular box is the right choice for you. It costs $14.99 per month while its retail value is around $25. If your fishing ventures include catching bass, walleye or inshore saltwater fish, the MTB Pro box is the way to go. It costs $24.99 per month and its retail value is around $40. Finally, if you exclusively focus on catching bass, you should go with the MTB Local box. This box costs $29.99 and contains around $40 worth of tackle handpicked by local guides. Apart from allowing you to save up to 40% in comparison to retail prices, Mystery Tackle Box also offers free shipping on all deliveries. 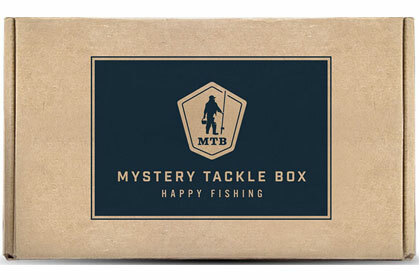 A Mystery Tackle Box subscription makes for a thoughtful and affordable gift for dads who enjoy fishing. The company also has an excellent online store packed with high-quality rods, reels, tackle, apparel, and other pieces of fishing equipment. Our ratings are the result of an objective and independent evaluation of Mystery Tackle Box, generating the final rating that reflects the overall quality of the product. Ratings may change as the service changes. No user reviews yet! Be the first to review Mystery Tackle Box. There’s no Mystery Tackle Box coupons or discounts right now.